The Romance Languages Department at Williams College seeks to appoint a tenure-track Assistant Professor of French, beginning July 1, 2019. 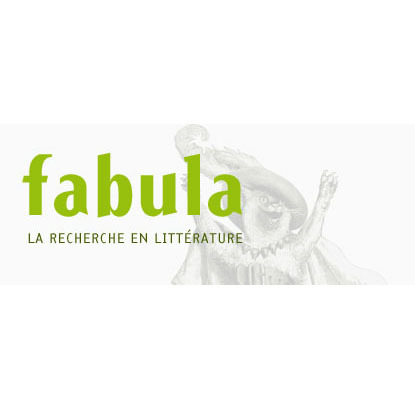 We are seeking passionate candidates with a specialization in French and/or Francophone pre-1800 literatures and cultures, with the potential to teach broadly in Medieval and Renaissance studies and/or 17th- and 18th-century studies, and to pursue a rigorous scholarly agenda in their field. Excellent training and experience in teaching beginning, intermediate, and advanced levels of French language as well as literature and culture courses in the candidate’s area of specialization are essential. Candidates must have their Ph.D. in hand by August 2019. The teaching load is 2-2, plus a January course every other year. The college and department value teaching and research equally, and will expect the new colleague to contribute (via dynamic courses, inspiring research, and extracurricular programming) to the continued vitality of our vibrant French program. The department is especially interested in candidates who can contribute to the rich intellectual life of a campus comprising colleagues and students from widely diverse backgrounds. Candidates from groups underrepresented in academia are particularly encouraged to apply. The search committee plans to conduct Skype interviews with 12-15 semi-finalists in January. Candidates chosen for these interviews will be asked to submit 2 syllabi before the interview: one for a language course, and one for a literature or culture course in their field. During the 30-minute interview, candidates will be asked to discuss: their teaching of beginning, intermediate, and advanced French language; their teaching of literature and culture courses in their field that they’ve offered and hope to offer at Williams; and their research agenda. The interviews will be conducted in English and French. Candidates should also be prepared to elaborate on their approaches to working with both students and colleagues from diverse backgrounds. - One sample class in French language, at the intermediate level (the equivalent of our RLFR 103 or RLFR 104). - A research colloquium, for which candidates will be asked to pre-circulate a paper of no more than 30 pages for participants to read beforehand. During the colloquium, the candidate will briefly summarize and contextualize the paper, before devoting the majority of time to leading discussion. This colloquium is an opportunity for candidates both to share their scholarly research and to demonstrate how they would teach a literature or culture course in their field. The colloquium will include faculty and students in Romance Languages, and other faculty members whose interests overlap with those of the candidate. - An interview with the college’s Committee on Appointments and Promotions (CAP), whose members will have read the candidate’s materials before the interview, and will ask substantive questions about teaching and research. - Conversations with members of the Department and the French Student Advisory Committee. - Following the campus visits, the search committee hopes to make an offer in March 2019. Williams College is a coeducational liberal arts institution located in the Berkshire Mountains of western Massachusetts. The college has built its reputation on outstanding teaching and scholarship and on the academic excellence of its approximately 2,000 students. For more information, please visit the Williams College website: http://www.williams.edu. Beyond fully meeting its legal obligations for non-discrimination, Williams College is committed to building a diverse and inclusive community where members from all backgrounds can live, learn, and thrive.